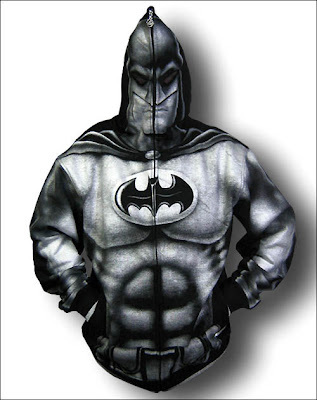 I own my fair share of themed t-shirts and other pieces of clothing, being the uber-geek that I am, but I've never owned a super-cool hoodie like the ones I came across today online. Some of them have been out on the market for a fair while, but I don't care, these are too cool to be missed if you haven't seen them already. 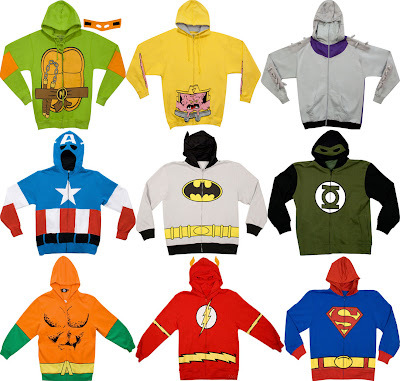 You can find all these hoodies in the pic below, and a lot more, at 80stees.com for around $50 - $60 each. Bargain! Special mention must go to the full zip-up hoodie I also found, where the whole thing does right the way up and has eye holes so you can see! Very cool!